High-skilled experts are always in demand, in every professional field, and UI/UX design is no exception. And although many businessmen don't mind paying well to worthy professionals, sometimes the money issue becomes very urgent. Besides, everyone wants to cooperate with good specialists without overpaying. But how to combine what seems incompatible? When it comes to finding the proper design companies, the answer is simple: it’s best to deal with Ukraine web designers. Such a choice would be a great way to get superior quality and save money at the same time. And the cooperation itself is going to be mutually beneficial and enjoyable. Are you surprised and even doubt? Then read our article where we set out the main reasons to hire Ukrainian UX designers. Sure, we'll manage to convince you of your rightness! There’re a few important things you should know before seriously considering outsourcing to Ukraine, namely: why is UI/UX design important, how does it affect the success of your site? The designers’ salary is really high, so, maybe, it would be smart of you to ignore the whole stuff at all? No, it wouldn't, and we'll explain why. By the way, if you take our advice, there is no sense in worrying about salaries mentioned - web design in Ukraine is relatively inexpensive, which means you have one less problem. However, we'll discuss it in due time. 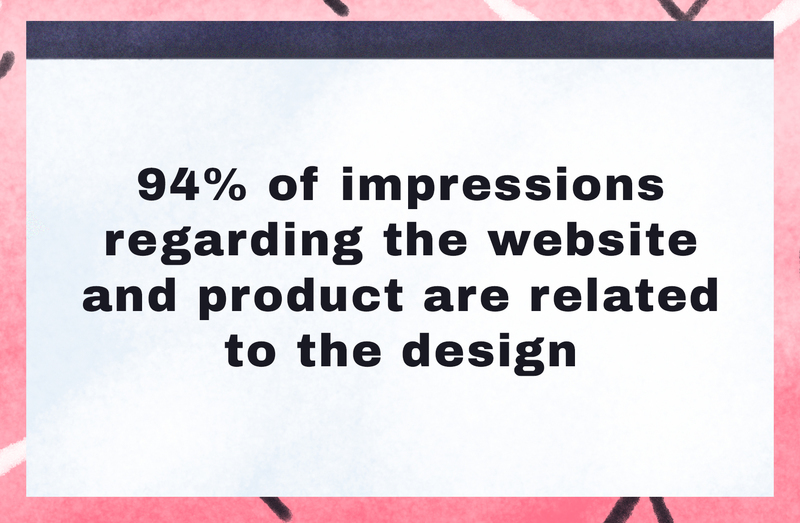 So, as you can see, the design is crucial because it is what influences the impression of your site and, therefore, of your Internet representation. 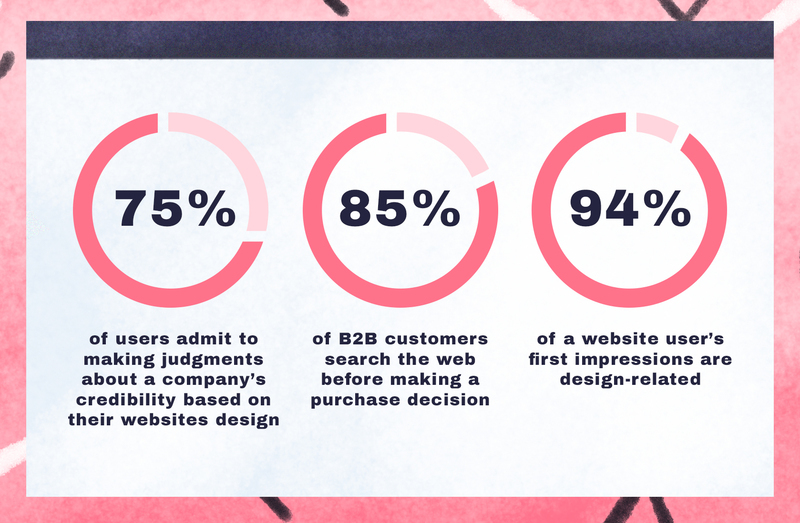 The loyalty of your visitors depends on the UI/UX factor - and when it comes to e-commerce, the loyalty is directly proportional to the level of sales. And if you decide to hire Ukrainian web designers, you'll provide your web resource with the best impression (and, as a consequence, the best users loyalty) without surplus payment. The web interface should be as ergonomic and user-friendly as possible in order to optimize its interaction with a site visitor. However, this is not always such a simple task as it might seem at first glance. An effective site means a convenient, practical and intuitive one. And that's the very case when UI/UX designers are needed. UI/UX design is aimed at creating any types of interfaces in which ergonomics is as important as aesthetics. UI/UX designers must bring the site visitor to a definite logical point in the process of his interacting with the interface, so that he reaches his goal in the easiest way, with the great comfort. Simply stated, a UI/UX designer should take all the details into account in order to make the user experience positive and enjoyable. And the graphic designers in Ukraine for hire know all about it. But let's go back to a subject of choosing a certain specialist. Who would be most effective? 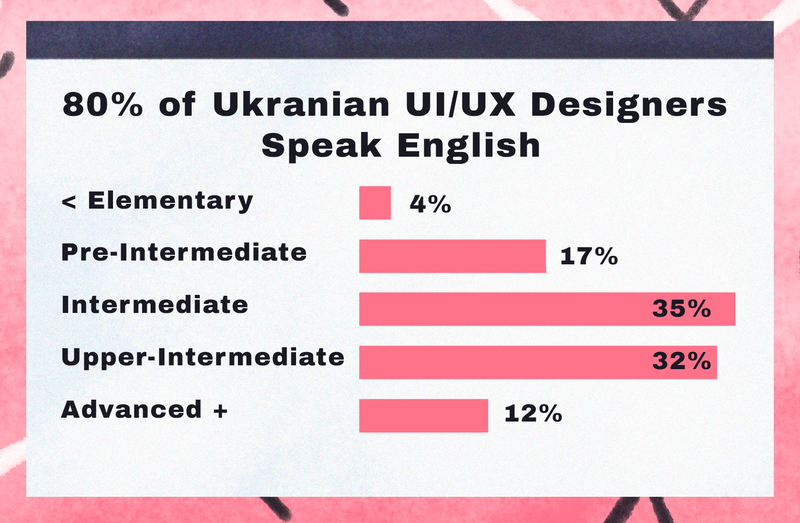 We're quite sure that Ukrainian UI/UX designers will be the most desirable option! And we're willing to reason our case. So, we’re happy to list the arguments which prove our point, namely: by hiring web designers in Ukraine, you're doing the right thing! After studying our list, you can no longer doubt. Agree, the billionaires know what they should choose to make their investments! And if such personalities as the business magnate and philanthropist George Soros keep investing in Ukrainian IT, it means this is a really promising market. Of course, the IT area includes various specialists, among them developers, QA experts - and UI/UX experts. And since large investors are betting on developers from Eastern Europe and Ukrainian graphic designers, so should you. The combination of high-quality design and reasonable prices is an undoubted advantage of outsourcing to Ukraine. Living here is much cheaper than in America and Western Europe, so the designers’ salary is much lower. And this makes the Ukrainian IT market so attractive. The second place is occupied by Western Europe. The rates of local IT experts are also high. The third place belongs to Eastern Europe - and, especially, Ukraine (that's why we advise you to hire Ukrainian web designers). The cheapest option is India... we’ll tell you a little later why you shouldn’t choose it. However, such financial accessibility doesn’t affect the level of work! On the contrary, Ukrainian UI/UX designers are qualified and following the latest IT trends, and web design in Ukraine has been developing year by year. Therefore, you can easily hire a local UX/UI experts in order to get the best result at a low cost. As we have already said, the IT sphere and web design in Ukraine are at the height of popularity and activity right now. Ukrainians participate in different web conferences where they don’t mind sharing their knowledge. Also, the country has more than a thousand IT and web design companies and nearly 100,000 UI/UX designers - this fact speaks volumes! Among other things, such activity indicates the Ukrainian graphic designers' desire to develop, evolve in accordance with the necessities of the times - which is an undoubted advantage. Web designers in Ukraine work quickly, efficiently and are ready to compromise. So, they are more likely to make unexpected changes to the project than European experts of the same industry do. And all sorts of force majeure and unexpected changes in the plans are inevitable, so this is one of the many reasons to hire Ukrainian UX designers. Ukraine web designers are famous for their rich imagination and creative approach to work. They have original thinking and are able to offer non-standard creative solutions. And most importantly, they are open to all new and relevant ideas. Web designers in Ukraine are easy to communicate, they have a sense of humor and remain optimistic. All these factors make interaction with them more pleasant. Besides, most of them (about 80%) speak English quite well. So, the problem of the language barrier will disappear by itself, because English is the most popular language for today. Still not sure whether to hire Ukrainian web designers? We have a couple more excellent arguments! A lot of Ukrainian UI/UX designers have a higher education which raises their work quality to a new level. It can be said without exaggeration that this is a real bonus because Ukrainian universities have always had a reputation for providing a very strong educational platform. They're using a balanced combination of the time-proven traditions and brand-new methods that lead to the truly impressive result. This could be another reason to cooperate with Ukraine web designers. convenient location. Ukraine is located in the center of Europe. A couple of hours - and you're here! You cannot say the same regarding Asia. And personal communication with web designers in Ukraine (or another country) is sometimes necessary. a slight time difference with Europe. And even US clients find the cooperation with Ukraine web designers quite comfortable in such regard. Of course, 7 hours of difference is still a lot, but this is a much more acceptable option in comparison to other low-cost countries (for example, India or Vietnam). a similar mentality. Graphic and UI/UX design is the sphere where it is very important to find mutual understanding with the performer. Therefore, a shared mindset plays an important role. Working with Ukrainian UI/UX designers, you’ll understand each other much faster! religious holidays. One more crucial aspect: there are many different ethnic groups in Asian countries, and each of them celebrates its own religious holidays, refusing to work these days. In Ukraine, there is no such problem. Local UI/UX specialists are willing to slog away almost all year round, justifying the designers’ salary. the work ethic. The work ethic of Ukrainian companies also resembles the principles of Western organizations. Ukrainian UI/UX designers are not passive performers but ready to take the initiative when it's necessary. They're also open to complex tasks and not afraid of challenges. So, you'll be on the same wavelength with them. All this causes easier cooperation with graphic designers in Ukraine for hire and leads to a better result which meets your expectations and wishes. What can Ukrainian UI/UX designers offer? ergonomic navigation. Undoubtedly, the role of correct navigation cannot be overestimated. 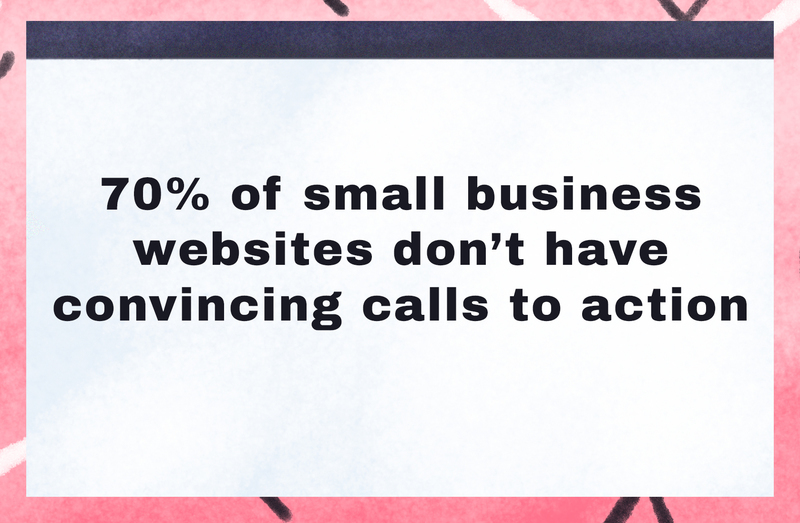 The effectiveness of your site largely depends on how it is "easy to use", in other words - easy to navigate. Ukrainian UI/UX designers are well aware of the importance of the ergonomics of navigation, they see it as a top priority. "Maximum information with a minimum of clicks (transitions)", that's their main guiding line! appealing design. The perfect web site design always attracts visitors and arouses their trust. So, a web resource should be modern, inviting, and appropriate to your corporative style (if your company has one). And a performer creating it has to understand you and your overriding purpose. Happily, Ukrainian UI/UX designers have, as mentioned, a similar mentality, which means your tastes coincide. Ukrainian experts’ll give you the result you need without any difficulty. clear call-to-action. The site is being created for a specific purpose such as selling goods or offering services. And the task of website design is to motivate a visitor to action and cause him to become a client of your company. Hence, it is important to understand the needs of your potential consumers and build an interface able to satisfy them. Ukrainian UI/UX designers are skilled and perspicacious enough to cope with the task perfectly. How to hire Ukrainian UI/UX designers? User Orientation. 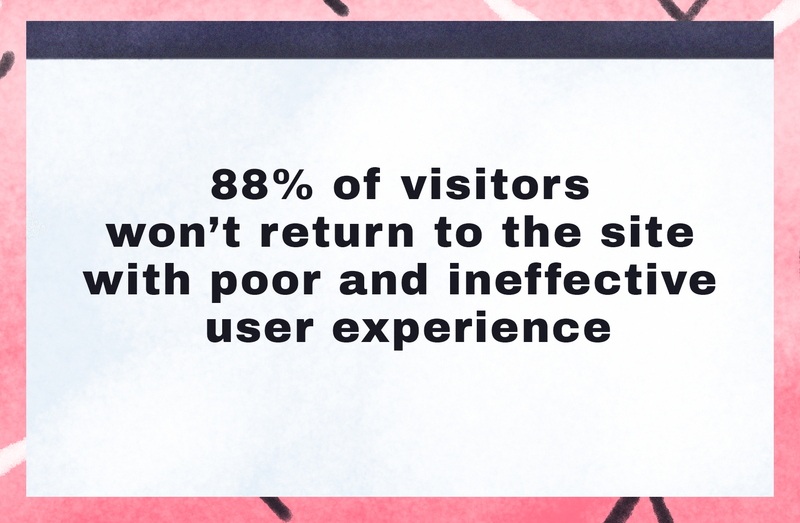 Professional UI/UX experts from design companies understand how to use information about potential site visitors in order to create a user-friendly interface. Generating ideas. If you want to hire a Ukrainian UX designer of a high level, make sure he is able not only to generate many various ideas but also make decisions based on the concepts of other people. System-defined Thinking. An expert in web design in Ukraine should understand whether his decision matches the lifestyle of a potential website visitor. Check if a designer able to see the picture as a whole when working on the details. Innovations. Let your potential employee show you examples of innovative design solutions. Does his portfolio seem new and unconventional, or does it look unoriginal, made by template? Communicative abilities. Qualified web designers in Ukraine (not only there, obviously) always ask the right questions. In addition, they can clearly ground the costs required for web design. Cooperation. It is desirable that Ukrainian UI/UX designers have experience of cooperation with product managers and researchers. The other important thing is the ability to accept constructive criticism. So ask them if they are ready to be receiving feedback on the work done. Besides, how do they resolve conflicts and disagreements? understand the values of your company. are friendly and sociable. Are you happy to communicate and interact with them? Our team of UI/UX designers fully meets all these requirements. Contact Agilie team, if you need qualified and experienced graphic designers in Ukraine for hire! We promise a pleasant and productive communication, a heap of creative ideas and low costs without any troubles or fuss for you! The financial demands of our UI/UX designers are very moderate compared to American and West European specialists' money wishes. At the same time, our experts are high-skilled and really hard-working. It means you'll get a perfect result under a lean budget. Our detailed case study on how we tried out different video libraries for the Android version of our live video streaming app b.live, and what affected our final decision.